I live in a suburban Ontario town where the visible minorities are now the majority. Brampton – a.k.a. “Browntown,” “Bramladesh”or “Singhdale” – is just like the nicknames imply: mostly brown. On our street of new semi-detached houses, I see brown and black families, mostly immigrants. Strip malls consist almost entirely of Indian-only grocers, stores selling fancy South Asian clothes and sweet shops. 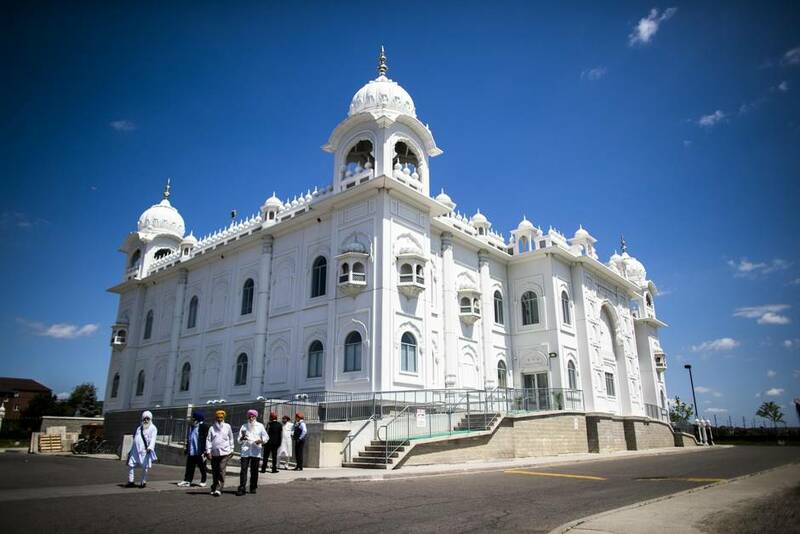 My drive home off Highway 427 is lined with palatial Sikh gurdwaras, a monumental Hindu mandir and a soon-to-be-built mosque – the only church in the area is a tiny historic landmark. At the walk-in clinic, brown and black families. At Service Ontario on a weekend, 30 people in line – only two are white and they are related. At the nearby library, an entire section carved out for Punjabi and Hindi books. And on Diwali, the night sky above Gore Road is lit up on both sides, crackling with competing fireworks displays. It doesn’t surprise me any more when staff at a local Canadian Tire speak to me in Punjabi, or grocery stores advertise Diwali and Eid sales. 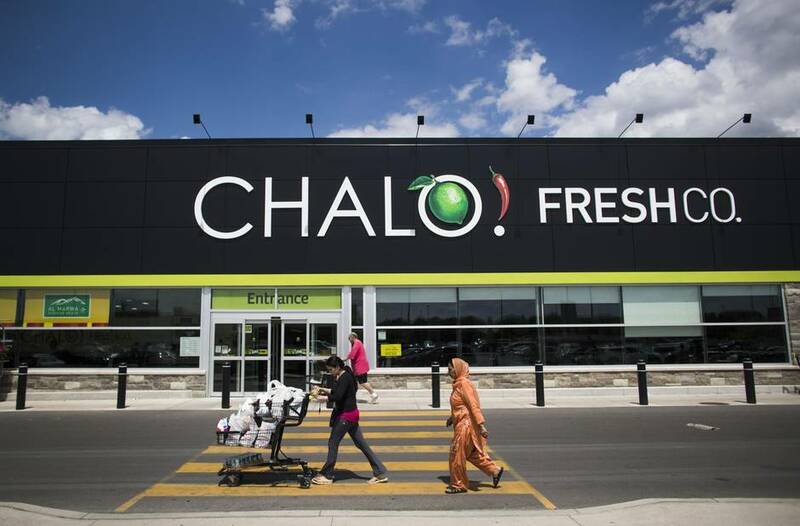 Sobeys recently opened a supermarket in the heart of Brampton called “Chalo Freshco,” or “Let’s Go, Freshco,” marketing it as the first Canadian grocery store designed for “desis,” or those of South Asian descent, serving everything from spices and basmati rice found at an Indian grocery store to Indo-centric vegetables and ready-to-eat tandoori chicken and snacks. On any given day, groups of women in colourful shalwar kameez (tunic and baggy pants) stroll vigorously along the sidewalk, getting in their daily exercise. Men in brightly hued turbans and flowing white beards bike to the neighbourhood park to hang out with friends. Sometimes, I wonder if I live in India or Canada. But I am not complaining. For someone who has lived her entire life as a minority – and a very visible one, thanks to the hijab covering my hair – this environment is a welcome change. I am with my own kind. According to the 2011 Census, visible minorities made up two-thirds of Brampton’s population – five years later, that number is likely higher (and it renders the venerable bureaucratic label “visible minority” completely obsolete). Nearly 40 per cent of Brampton is South Asian, with Sikhs making up almost 20 per cent of the population. What are the top four languages spoken in Brampton after English? Punjabi speakers make up 19 per cent of the town, Urdu 3.1 per cent, Gujarati 2.3 per cent and Hindi 2.3 per cent. Not surprisingly, they’re all languages originating on the South Asian subcontinent. I love that I can walk to the Asian Foods grocery store down the block when I’ve run out of coriander or turmeric, or just craving some samosas. Who needs a neighbourhood 7-Eleven when all my favourite comfort food is a stroll away? Need to get your legs waxed or your eyebrows threaded? Every few blocks there’s a salon operating out of someone’s basement. I love that I don’t stick out like a sore thumb. As a South Asian Muslim, Indian on my dad’s side, Pakistani on my mom’s, I feel like I finally fit in. I am part of the non-white majority. I don’t need to worry about someone judging me by my hijab or hurling racist comments. I don’t have to worry about the patronizing tone of a white person in a mall parking lot, talking down at me like I don’t speak English about some asinine rule. The brown people who live here love Brampton. It’s like being in India, but with free health care, good schools and clean streets. Yet even as we revel in this urban enclave, we know in our hearts that the Brampton that is emerging is not a good thing. Google “Brampton” and “ghetto,” and you’ll find plenty to read. Brampton gets labelled as “a ghetto,” largely because of the city’s high concentration of visible minorities, especially South Asians. As a writer who has documented and experienced true urban decay south of the border, I know for a fact that “ghetto” is a racially charged word that conjures up images of heavily populated slums, often segregated neighbourhoods occupied by minorities. It’s a disparaging term – one that historically was used to describe enclaves occupied by Jewish Europeans and now used more to describe – especially in America – urban black poverty. Regardless of whether Brampton is, or isn’t, a ghetto, that label alone is not a good one. It raises tough questions about the future of a city that’s been profoundly reshaped by the immigrants who’ve made their homes there. Until last year, I was a reporter in Chicago, covering the inequities of the city’s public school system and writing about disenfranchised African American youths. Neighbourhoods on Chicago’s south and west sides – now those are true urban ghettos. Here in Brampton, you don’t have abandoned homes boarded up, acting as magnets for prostitution and drug dealing. The city isn’t shutting down schools. Gang members are not opening fire at children playing on sidewalks. So if Brampton is not a ghetto, what is it? The sprawling suburb of subdivisions, with its high South Asian (specifically Sikh) population is what’s called an “ethnoburb” – a middle-class suburb occupied by an ethnic group. Outside the Vancouver suburb of Surrey, as well as London, England, the Brampton area is considered to be home to one of the largest Sikh communities outside of India. How it got to be that way is a lot like the story of other ethnic enclaves going back generations – people followed friends and relatives. In Brampton’s case, the clustering was triggered by developers who kept buying farmland and converting them into endless subdivisions. Jobs at the airport, which employed South Asian immigrants for years, also fuelled the expansion, attracting South Asians first to Malton and then nearby Brampton. Within a generation, Brampton transformed from Canada’s flower-growing capital to its ninth-largest city. The population boomed from 234,445 in 1991 to 521,315 in 2011, with that number now estimated at nearly 600,000. But the rapid demographic turnover has not been lost on long-standing residents. Whether it is “white genocide” or “white flight,” few would dispute that the town has lost a sizable chunk of its white population. 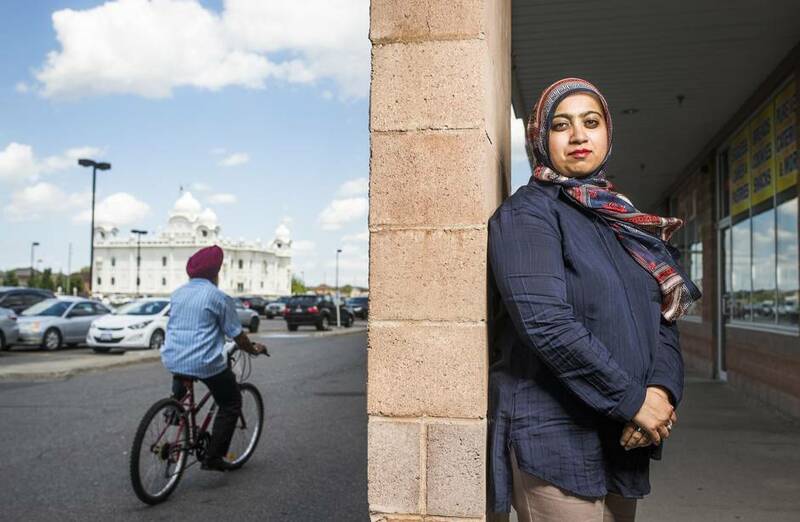 While academics shy away from using the term “white flight” to describe what happened to Brampton’s white families, residents speak freely of what they observed in their own neighbourhoods. Back in 2005, when Gurjit Bajwa moved into his Castlemore subdivision of 3,500-square-foot homes, there were about 15 white families, out of 105. Many of those white families are now gone, with South Asians making up half the subdivision. Another 20 per cent of the families are black. This transition occurred in one of the wealthiest parts of the city, with homes valued at almost $1-million. The 45-year-old emergency room doctor at Etobicoke General Hospital doesn’t know what drove the white families away, but he knows he too has faced the stigma of living in Brampton. Dr. Bajwa, who is Sikh, says that in the beginning he wouldn’t even tell co-workers he lived in Brampton, instead naming the neighbourhood where he lived. So why did he move to Brampton? Mrs. R, who immigrated to Canada from the West Indies 40 years ago, watched her neighbourhood change during the 15 years she lived in Brampton. And the changes were not always welcome to the non-South Asians. Some were upset that older Punjabi and Hindi immigrants seemed to be getting by without having to learn English. Because South Asians didn’t call out a friendly “hello” or because all South Asian homes had basement apartments or because of their “smelly” cooking, some people just didn’t like having them as neighbours. They watched the “welcome mat” being laid out by businesses like banks, and were filled with resentment. When they had immigrated here from different parts of the world, no one made services like opening a bank account easy for them. “I’ve been here longer, and I feel like an outsider,” a black resident told me. Pardeep Nagra, a well-known Sikh activist who rose to fame in Canada after a court victory against the Canadian Amateur Boxing Association over his beard, is the executive director of the Sikh Heritage Museum in Malton. His path to Brampton is a lot like the trek of so many Sikh immigrants in the Toronto region. First stop for his dad and uncle who immigrated in 1971 was “Little India” along Gerrard Street and the gurdwara on Pape Avenue. Then once their wives and children immigrated from India, the families bought their first joint home – 10 people under one roof in a semi-detached in Malton. They moved a few times in the area, eventually following relatives and friends to Brampton in the early nineties. Mr. Nagra has carefully collected artifacts documenting Canadian Sikh history. He’s helped curate exhibits at the museum, detailing Sikh achievements like the first gurdwara in North America built in Vancouver in 1908 and the first RCMP officer allowed to wear a turban in 1990. Modern-day Canadian Sikh heroes include local boy Jagmeet Singh, the deputy leader of the province’s NDP; YouTube sensation Jus Reign; Navdeep Bains, the new Canadian Minister of Innovation, Science and Economic Development; and Harjit Sajjan, the decorated Canadian soldier turned Liberal Defence Minister. Yet despite the long history in Canada, Sikhs are still not accepted as Canadians, says Mr. Nagra. That’s why a city with a large South Asian population gets labelled as a ghetto, he says. Racism also contributed to why an influx of Sikh immigrants watched white families choosing to leave and other white families opting not to move to Brampton, Mr. Nagra continues. He points to the language in the anti-Sikh flyers and racist comments that surface during City Council meetings on temple permits. The process of immigration, settlement and social harmony isn’t inevitable. In fact, it needs to be worked on. Forward-looking municipalities actually try to create links between their various ethnic communities in order to counter resentment and flight. Kristin Good is an associate professor of political science at Dalhousie University. In her 2006 book, Municipalities and Multiculturalism: The Politics of Immigration in Toronto and Vancouver, she argues that local governments – not just their federal and provincial counterparts – have a role to play in helping communities deal with multiculturalism and the racial tensions that may arise as a community becomes more biracial than multiracial. In such cases, municipalities need to step in and foster intercultural understanding between the two groups. Brampton’s municipal leaders never took that critical step. In fact, Prof. Good found that neither politicians in Brampton nor Mississauga had planned or reacted well to their minority population in the early 2000s. In her research, Prof. Good found that more responsive communities actually created separate divisions within municipal government whose officials were tasked with engaging their diverse communities and overseeing access and equity in the city’s employment practices and services. These municipalities also provided grants to community organizations helping new immigrants integrate and promote positive ethnic relations, and finally they took steps to incorporate immigrants and ethno-racial minorities into the political process and municipal decision making. In Brampton, visible-minority representation on city council and in City Hall was a problem back when Prof. Good’s book was published, and it’s still a problem today. Gurpreet Singh Dhillon, 35, was elected to Brampton council in December, 2014. In a town where the visible minority is now the majority, Mr. Dhillon is the sole non-white councillor. Case in point: disputes over the use of city parks. During the summer of 2015, Mr. Dhillon organized an opportunity for residents to vent concerns to city staff about their requests for more park gazebos, shelters, tables, benches and port-a-potties not getting approved. City staff couldn’t understand the need for the requests, but meeting face to face with 100-plus residents has now led to findings that Mr. Dhillon hopes will influence Brampton’s next master plan for its parks. The city also needs to hire municipal officials, police and firefighters who reflect the community, says Dr. Bajwa, who actively campaigned to defeat Brampton’s long-standing mayor, Susan Fennell, in 2014. Brampton residents have a point. If you look at Ferguson, Missouri, where the fatal shooting of an unarmed black teenager by a white police officer sparked the “Black Lives Matter” movement, minorities make up at least two-thirds of the population, but the police department is predominantly white. The disconnect between the community and racial representation on the police force is a problem afflicting many American cities struggling with police brutality in African American and Latino communities. Professor Jeffrey Reitz, director of University of Toronto’s Ethnic, Immigration and Pluralism Studies, doesn’t believe municipal governments, who are challenged by limited access to tax revenue, alone bear the blame for failing to integrate the different ethnic communities in Brampton. He says the national multiculturalism program, which has a mandate “to build an integrated and socially cohesive society,” was cut by about a third to $7-million a year under the Conservatives. The national multicultural program not only provides funding to organizations to take on projects and events promoting multiculturalism, but also undertakes public education initiatives that promote diversity and help break down barriers like Asian Heritage Month and Black History Month. Canadian cities may boast that they never fell victim to racism and avoided the kind of white flight that led to the destructive segregation in many large cities south of the border. But the Brampton story reveals that we have our own version of white flight, and before we figure out how to manage hyper-diverse and increasingly polarized cities like Greater Toronto, we need to reflect on our own attitudes about race and ethnic diversity. In Chicago, white flight played a crucial role in making it one of the most segregated cities in America. When blacks began moving to the city from the deep south during the first half of the 20th century, political leaders used racially restrictive covenants to dictate where black families could live. Even after the Supreme Court struck down these covenants, homeowners associations maintained the status quo by discouraging members from selling to black families. It wasn’t until white families began moving out in droves, that black families began moving in, eventually creating the predominantly black South Side. In what many consider Chicago’s most dangerous neighbourhood – Englewood – the white population dropped from 89 per cent to 31 per cent between 1950 and 1960. Today, it is 98.5 per cent black, 0.6 per cent white and 0.4 per cent Latino. With business and industry following the white population, neighbourhoods like Englewood succumbed to violence. Public schools in Englewood today are among the worst in the city. At one high school in Englewood, which was the subject of a This American Life documentary, 29 teens were shot in one school year alone. Even as I was reporting on life in this neighbourhood, high schoolers would lift up their T-shirts and their pants to show me gunshot wounds like seasoned war veterans. When the mayor closed nearly 50 schools in 2013, another disenfranchised community on the West Side, North Lawndale, was hit particularly hard. The community, which is 92 per cent black, saw two elementary schools and a high school shut down. In communities where the achievement gap kept widening, closing schools – essentially divestment since residents would end up with fewer school options – was the city’s solution. The disparity between blacks and whites is so wide in Chicago that The Atlantic’s Ta-Nehisi Coates declared this past summer that it’s almost like blacks and whites don’t live in the same city. In fact, many black youths in Chicago have never visited downtown. They remain isolated in their crumbling, violent neighbourhoods. I fear that same disparity for the Toronto area’s brown and black populations. As the GTA becomes further divided along racial and socio-economic lines, will ethnic enclaves become the vehicle through which we create haves and have-nots in this city? Already, insurance rates in Brampton are the highest in the GTA. I discovered this when I moved to the city and had to buy car insurance. An insurance agent told me this was because of the high rates of crashes and fraudulent claims in Brampton. Similarly, public schools in Brampton are increasingly serving only brown kids. Families that can afford it send their children to private Catholic schools, while public school teachers complain about a lack of ESL supports for the large number of students who are still learning English. Some believe race also played a part in Brampton residents losing out on an LRT expansion that would have connected residents to the GTA, helping them get to Mississauga and other transit connections faster. The city’s long-time older, white residents, who didn’t want anything to disrupt their downtown neighbourhood, convinced City Council to vote down the proposal and give up $1.6-billion promised to the project by the province of Ontario. Newcomers had fought hard for better commuter options . Does this accelerating dynamic create other forms of social dysfunction, such as concentrated poverty, elevated crime rates and chronic unemployment? Prof. Keil, an urban expert, says the risk of that only exists if business and industry fail in Brampton. In Brampton, Prof. Keil says, we need to look out for those places where immigrants have found employment in the low-paid service sector, like warehouses and factories. “If there’s continued job loss in those places, a loss of income and wealth, then I’d fear those places might become the job deserts and service deserts that we have seen in the inner suburbs of Toronto over the last generation,” Prof. Keil says. 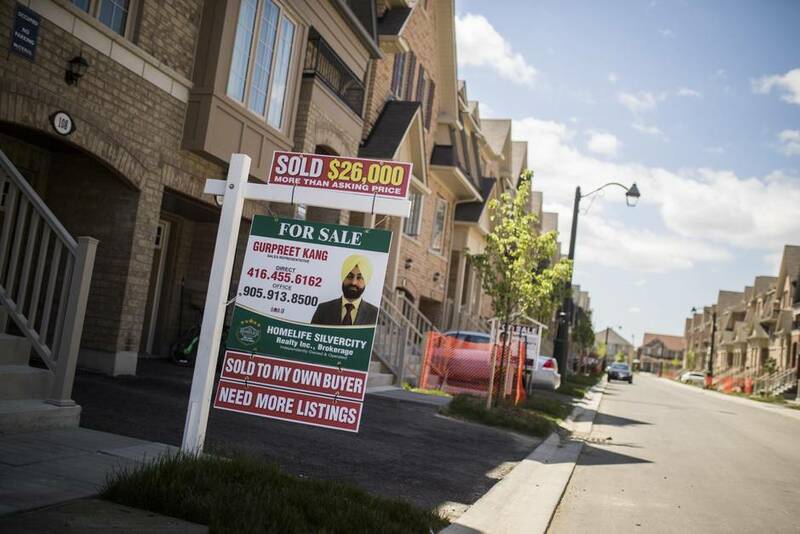 The evolution of Brampton raises questions about the nature of multiculturalism in the GTA. Does the presence of ethnic enclaves mean we remain with our own people, with little interaction with others? 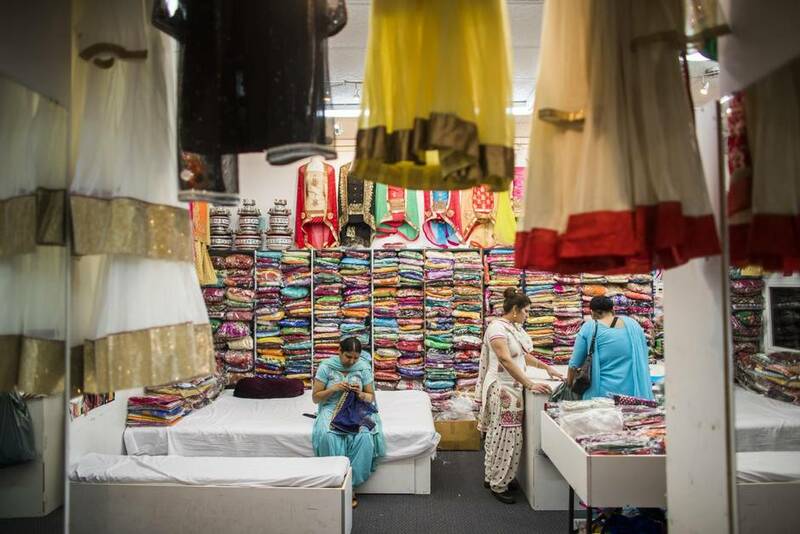 Ethnic enclaves have their pluses – in the Sikh community’s case, political success. Sikh activism and the area’s high concentration of Sikh votes not only brought Justin Trudeau to Brampton three times during his campaign, including a packed rally attended by thousands a few days before the election, but Mr. Trudeau mentioned the city in his victory speech after it proved to be a pivotal battleground for candidates – all five ridings in Brampton went red this year. In 2011, they had all voted blue. Ethnic enclaves also give immigrant groups power because the electoral system rewards them for large numbers and high concentration. But at what cost? That high concentration also drives away people who could help make the community more multiracial and better connected to the city-region at large. We will have to wait and see how Brampton continues to evolve. Prof. Keil says no community remains stagnant. Second- and third-generation South Asians may choose to move out of the city. Or, white families could choose to move in. As it is, Dr. Bajwa says a few white families have begun trickling into his subdivision. On a recent day, I saw a white couple buying fruits and vegetables at an Indian grocer in my neighbourhood. And a few months ago, a white family moved into a home two doors down. Their dazzling Christmas decorations – the only ones I can see on our street – defiantly stake their claim to a spot here. Excerpted from Subdivided: City-Building in an Age of Hyper-Diversity, published by Coach House Books.